If you are a buffet fan and preparing for a Walt Disney World vacation, you are in luck. There are so many buffets to enjoy at the happiest place on earth. My family loves that buffets enable us to have a taste of a large variety of food and enjoy as much food as we want at the end of a busy park day. Add in the fact that buffets are located at some beautiful parks and resorts across the property and you have a winning meal combination. 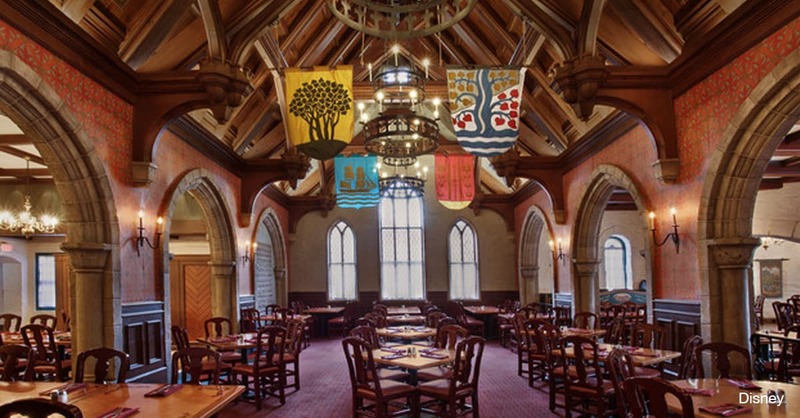 This list counts down five buffets at Walt Disney World that are not to be missed. While this article dives into dinner offerings at each of these restaurants, many of them serve other meals throughout the day that varies in price and menu. Hop on the Walt Disney World website to review menus and pricing. Then decide which meal you want to enjoy at a Disney buffet location. If you are looking for country cooking in a laid-back atmosphere, you will love this Disney buffet. Located at Disney’s Fort Wilderness Resort and Campground, guests can eat their fill of country classics like, ham, chili, cornbread, mac and cheese and mashed potatoes. A delicious salad bar and dessert bar are the perfect kick off and wrap up for the meal. Just a short ferry ride away from the Magic Kingdom, this buffet seems to be one of the lesser-known options. Reservations are generally plentiful even the week of your vacation. Our family of five has snagged same day reservations at Trail’s End multiple times. Our favorite thing about this restaurant is absolutely the value. With prices ranging from only fifteen dollars to around thirty-five dollars per adult, this eatery rivals buffet process in the “real world” and provides a great bang for your buck. 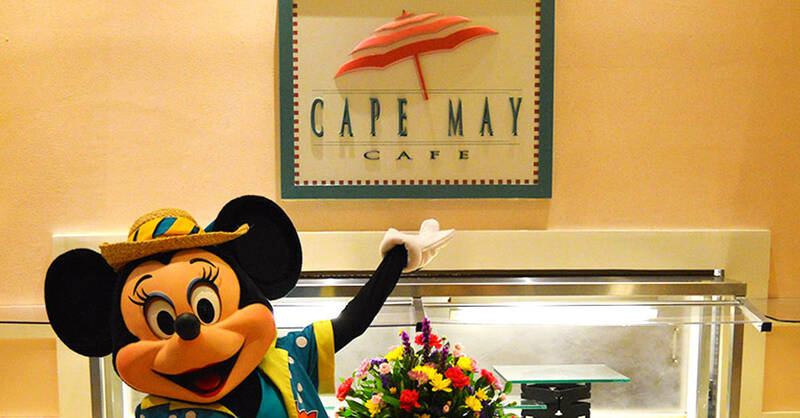 Seafood lovers should seriously consider a visit to Cape May Café buffet during their next Disney vacation. This buffet is appropriately themed for its location in Disney’s Beach Club Resort. Fried and peel and eat shrimp, scallops, clams, mussels and pans full of crab legs are some of the seafood buffet highlights. An array of sides, a fresh salad bar and other non-seafood meats like juicy roast beef are also available on the buffet. Price ranges from thirty-five to sixty dollars per adult, depending on the crowd patterns at the time of year guests are visiting. Cape May is a fun buffet option for both seafood seekers and Disney restaurant regulars that are looking for a change of pace in buffet offerings. 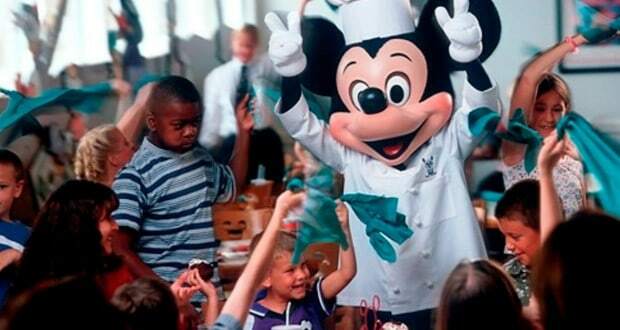 Depending on whom you speak with, you may receive mixed reviews of Chef Mickey’s. Some guests love this dining experience, while others think the value leaves a lot to be desired. This Disney buffet makes our can’t miss list, simply because it’s an iconic Disney buffet. Located in The Contemporary Resort, guests enjoy a buffet of American style food. The monorail runs overhead and Mickey and the gang visit tables for photos and autographs. Character dining is a great way to see characters and skip the line, while enjoying a meal. After dinner is over, hop on the monorail for a quick ride to The Magic Kingdom for Extra Magic Hours. You can also enjoy the fireworks from the beach of Disney’s Polynesian Village Resort just a few monorail stops down. Little princesses will be big fans of this Norwegian Disney buffet. This dining experience makes the can’t miss list because eating at Akershus means meeting Disney Princesses. Ariel, Belle, Cinderella, Aurora and Snow White are some of the regulars meeting guests during meals at Akershus. Dinner guests enjoy food with a Scandinavian flare. Herb roasted chicken, grilled salmon, seafood dishes and assortments of meats and cheeses are some of the options that guests enjoy at this World Showcase restaurant. Stack this dinner experience with a FastPass+ ticket to Frozen Ever After that is located next door and finish the night with Illuminations for the perfect end to a day at Epcot. The last spot on our list is situated at the end of Main Street U.S.A and in front of Cinderella Castle in the Magic Kingdom. The Crystal Palace is a character buffet that offers American food in an awesome location with friends from the Hundred Acre Wood. Pooh, Piglet, Eeyore and Tigger are all characters that greet guests at this restaurant. Join in the pooh-rade around the dining room periodically during the meal, to celebrate your vacation and make family memories.